After weeks of waiting for my laptop to be fully repaired, I'm finally back with a very long post! 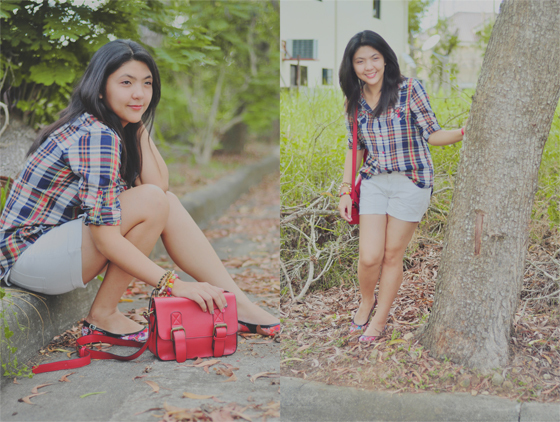 For this post, I will be blogging about Spruce's newest collection and promo, and of course a new outfit post! Enough with the intro and let's get started! 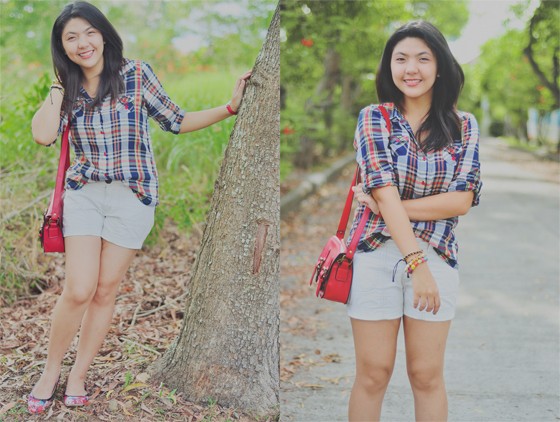 Before I proceed with my casual summer outfit post, let me first talk about Spruce's PINKed Collection! 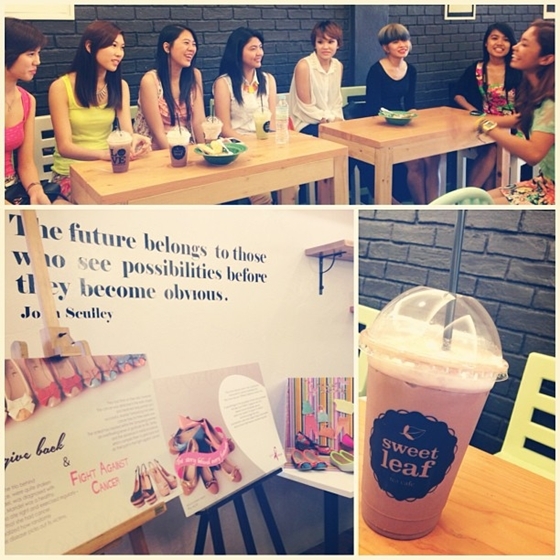 (Photo from Spruce)A week ago, Spruce invited me to a milk tea-filled afternoon at Sweetleaf's new branch. Puzzled by the sudden invitation, I confirmed my attendance and waited for the appointed date. (Photo from Spruce) Spruce recently launched it's new collection, Spruce PINKed. Some of you guys might be wondering what's so special about this collection, so let me blab a bit of something about it. Spruce has been and will always be one of the fashion shops that'll attract the attention of most Kagay-anons (specially, females) when it comes to footwear. It offers quality products that are not only drop-dead-attractive but also comfortable and affordable. 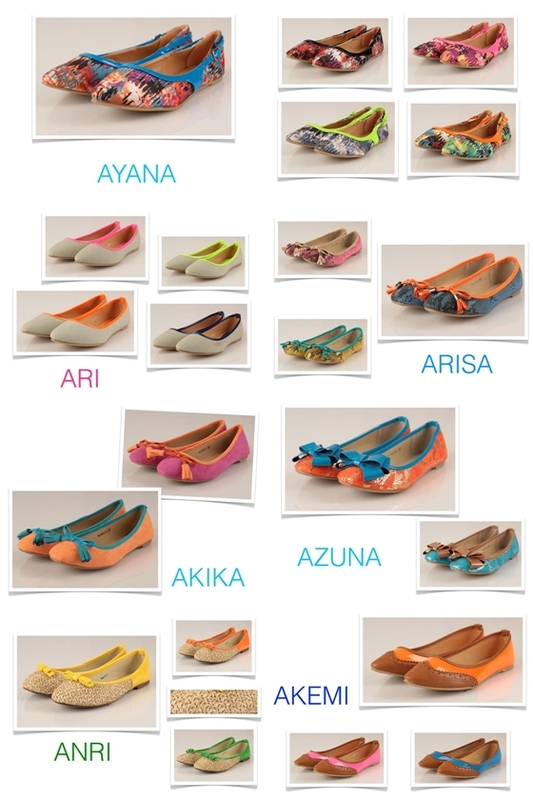 Spruce PINKed offers a line of bright, neon, comfy flats designed especially for this summer. For every purchase from this collection, you get 3 benefits: Firstly, you get to have a new pair of summer-worthy flats that'll make your friends drool. 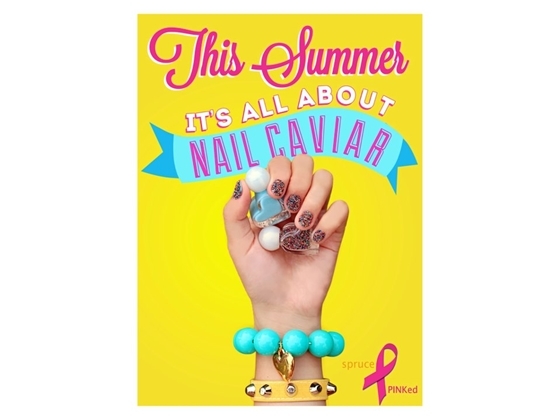 Secondly, part of the proceeds from this collection will be given to a breast cancer advocacy core group, Thrive. 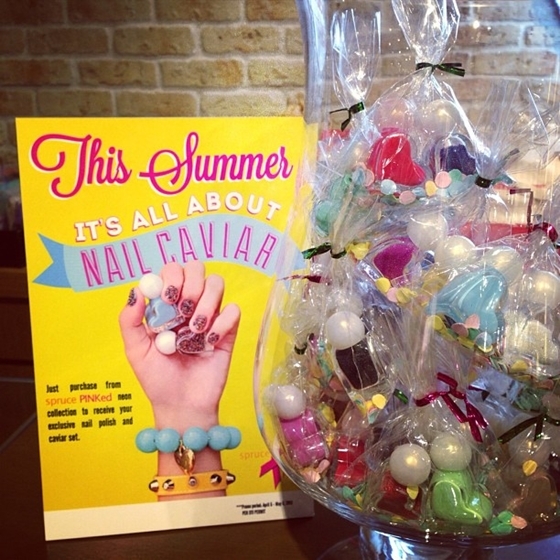 (Photo from Spruce) And lastly, for every purchase you make, you get to have your own nail caviar set for FREE! These nail caviars are so pretty and very unique. There aren't many shops around CDO that offers nail caviars aside from Spruce that I know of. 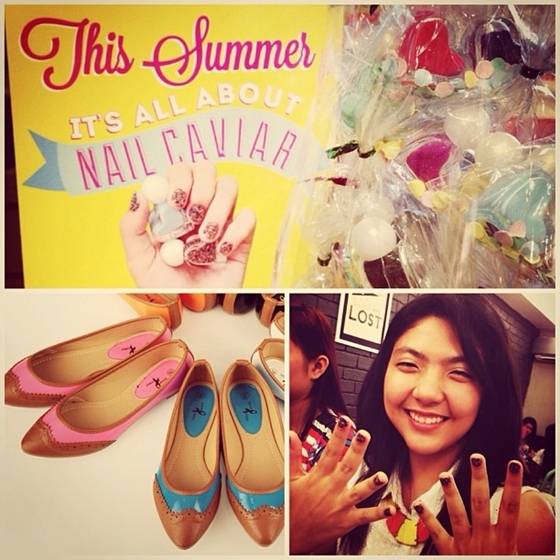 So you guys better head off to any Spruce branch in CDO and get yourself a new bright pair of flats and preppy nail caviar set while at the same time helping out to the community. (Photo from Spruce) Oh yeah, I was the "Early bird" during the event, the staff of Spruce were generous enough to give me a free mani using any nail caviar set that I liked. All of us were given our own caviar set as well. 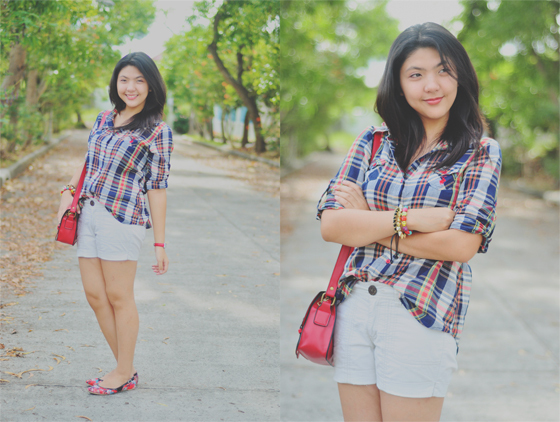 For my outfit post, I kept it casual as always. Even if I'm not attending summer classes, I'm still busy with our Kuya Fish Campaign project and it requires me to dress with my casual clothes every now and then. 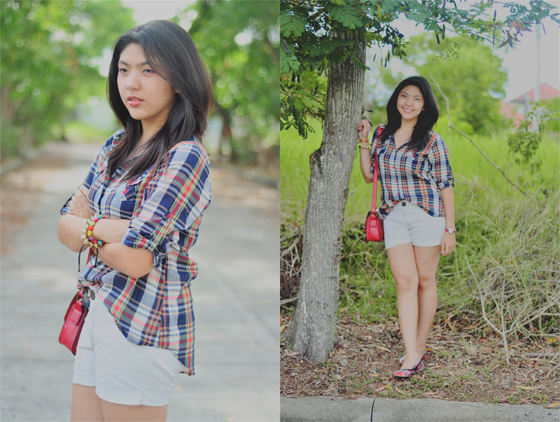 Since it's summer, I don't have any uniform to wear; I always end up asking what I'll be wearing for each day. I do not want to over complicate nor give too much effort on my outfit because it's like an oven here in the Philippines. 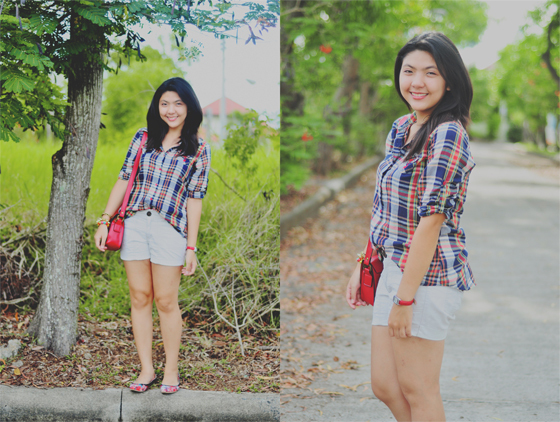 A plaid top, pair of shorts and flats has become my summer go-to look. I bought my own pair of Ayana Flats from Spruce! Don't you just love the loud prints of this pair? I know I do!